The relatively small step of undertaking programmatic, data-driven, content-curated email marketing delivery has made a big difference to fashion rental company, GlamCorner. According to co-founder and CEO, Dean Jones, making an investment in email automation to provide a better and more personalised customer experience saw the channel’s contribution to revenue lift from 3 per cent last year to 8 per cent this year. “In a year where revenue tripled in size, this has been an incredible improvement in this channel's performance for us,” he told CMO. GlamCorner was started in 2012 when Jones and his wife Audrey decided to revolutionise the way Australian women think about their wardrobes. With Australian women spending over $8 billion per annum on fashion, $500 million of which is spent online, they saw a need in the market for fashion rental. 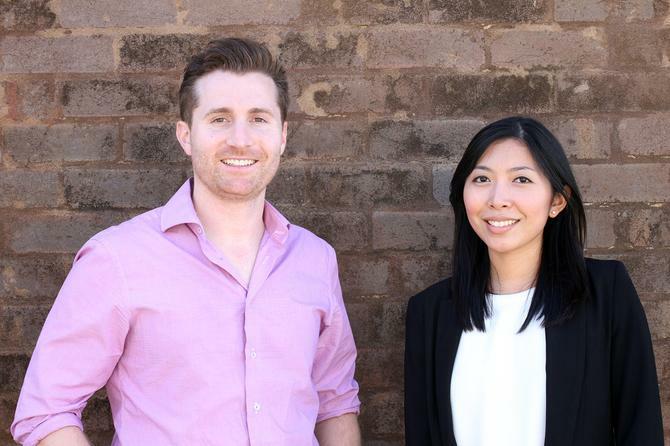 Securing $4.2 million in Series A funding in July 2017, the couple, along with the growing team, are continuing to invest in new developments, front-end and back-end technology, as well as data analytics and reporting tool, Domo, for insight. “We realised about six years ago that the average Australian woman only wears about one third of what’s in their wardrobe. Most women buy something for one occasion or one purpose and never wear it again,” Jones explained. While some women tried to solve this problem by sharing clothing with family and friends, the network was pretty limited. So, as the share economy grew, ride sharing and Airbnb unlocked existing behaviour by creating a technology platform to fill a need, the Joneses built GlamCorner. The business gives its customers access to the biggest wardrobe in the country. Consumers pay for what they use, then send items back to be cleaned and re-rented. Jones said 20 people can wear the same piece of clothing and bring the cost per wear down by an order of magnitude. A business that started with a few thousand customers now has hundreds of thousands following a full scale-up phase. GlamCorner even has its own internal laundromat, which handles 15-20 tonnes per month. In 2017 alone, the company loaned out clothing worth around $30 million, with 120,000 followers across its social platforms and more than 50,000 customers on the database. GlamCorner now has more than 6000 pieces it rents out, and about 60 people on the payroll, with the business tripling in size in the last 12 months. Jones said a key ingredient is being diligent about marketing channels. “As a purely online business, we take content building and best-practice SEO very seriously. We always have invested heavily in this and it has delivered a lot of high-impact results for us over the last few years,” he explained. Email is a good growth story, but with programmatic, data-driven, content-curated email delivery, GlamCorner has increasingly been able to communicate and engage around the right products at the right time to the right customer. “We realised we needed to build and rebuild our direct mail. Email marketing has a big place in my heart because when you are just starting out, it’s all you’ve got, you’re not getting customers any other way,” Jones continues. “With every person who comes through that checkout, you want to build a special relationship with. They are very valuable, and you have to maintain that relationship without overdoing it. You want to be like a friend - you don’t want to knock on their door every day, but you want to stay in touch. So early on, you have to discover a nice balance of getting the basics right. About a year ago, the team realised the bigger the customer base got, the more diverse the types of customers. GlamCorner has used a variety of software for delivery of email marketing over the years and is now using Emarsys. “We had so many different customers at different stages of the customer lifecycle, who are consuming our service for different purposes. To make better use of that, and deliver a better experience to our customers, we needed to dig a bit deeper when it came to email,” Jones said. “Our list of what we wanted from email to go a lot deeper and get a lot more sophisticated was long. Particularly, we wanted to deliver dynamic product recommendations inside the email, we wanted that to be a curated and personalised experience for every single person. On top of this, GlamCorner uses Domo as a business intelligence tool. “It democratises access to important decision-making data and information in our company that allows all members of our team across all areas to be able to make higher quality decisions, faster,” Jones said. “We have also been utilising Domo's built-in artificial intelligence engines and features to identify patterns and predict trends to complement our team's decision making." One of the lessons the husband and wife team learned is not to get too narrow in focus. For example, just because someone was looking at bridesmaid dresses doesn’t mean they are the bride. “You can’t make too many assumptions to early on, this can hurt you,” Jones said. “You can get analysis paralysis by coming to a conclusion too early. You have to be patient. It took a good six months for us before we realised when it comes to being data driven, it’s not just by volume but actually over time that makes a difference. “We found some workflows behaved and converted differently, and we realised there was a seasonality aspect.